To order, contact us at receptionist@societyofthecincinnati.org or 202.785.2040. Shipping costs $5.00 per order within the contiguous United States. 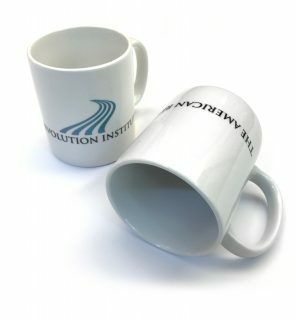 11-ounce ceramic mug emblazoned with the logo of the American Revolution Institute of the Society of the Cincinnati in blue and black on a white background. 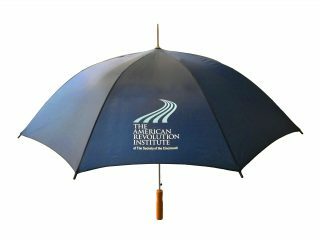 This blue nylon umbrella with a wooden handle and metal frame sports a two-color American Revolution Institute logo on one panel. 34” long. 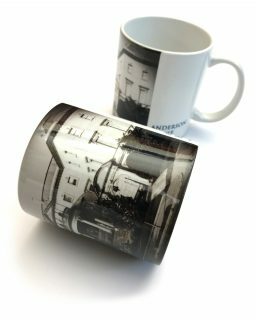 11-ounce ceramic mug wrapped with a sepia photograph of the façade of Anderson House, a National Historic Landmark and the headquarters of American Revolution Institute. 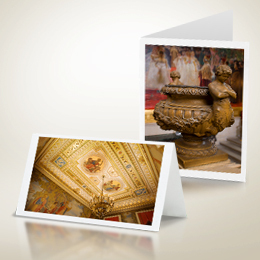 Ten 5″x7″ note cards, each with a different image of Anderson House. Boxed with envelopes. 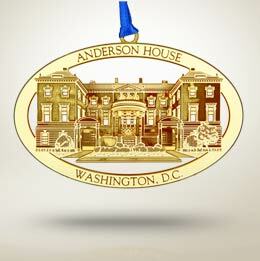 Solid brass ornament depicting the front façade of Anderson House, the headquarters of the Society of the Cincinnati and home of the American Revolution Institute. The custom-designed ornament, plated with 24-karat gold and suspended from a blue satin ribbon, is sold in a gift box with a brief history of this National Historic Landmark. 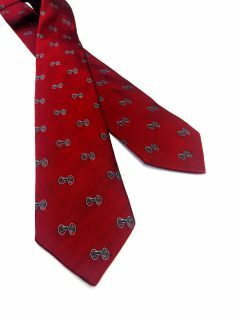 This claret red silk straight necktie with a gray-and-white repeat cannon pattern was made exclusively for the American Revolution Institute of the Society of the Cincinnati by Ben Silver of Charleston, S.C. The design was inspired by the ca. 1777 bronze artillery piece on display at Anderson House. The tie is available in two lengths: standard (57”) and extra long (61”). 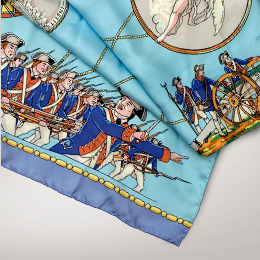 This light blue silk twill fabric scarf with rolled edges was inspired by Pierre L’Enfant’s drawings for the Society of the Cincinnati and other Revolutionary War imagery. 14” x 58”. 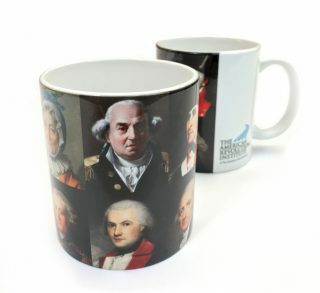 11-ounce ceramic mug featuring eight color portraits from our museum collections of men and women of the American Revolution. Elegant brooch depicting the Herald of Fame, a patriotic symbol used in the late eighteenth century and featured by Pierre L’Enfant on the Society of the Cincinnati’s diploma. 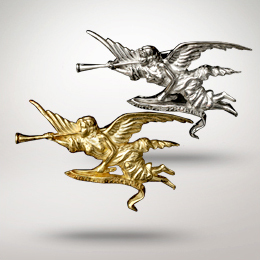 Select 14K gold, Sterling silver, or Vermeil (14K gold-plated sterling silver). 1¾” x 1”. 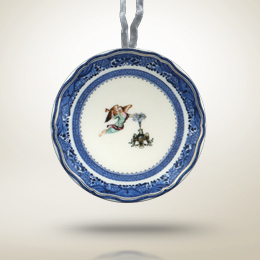 Small porcelain ornament, suspended from a white satin ribbon, in the shape of a Society of the Cincinnati dinner plate. Inspired by plates in George Washington’s service of Cincinnati porcelain made ca. 1784-1785, several pieces of which are preserved in the Society’s collections. 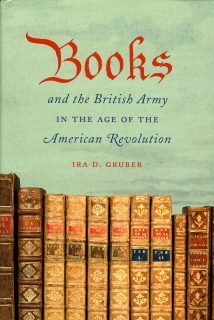 This study of the military books that shaped the British army through the eighteenth century includes a checklist of more than nine hundred works, the majority of which are represented in the Society’s collection. 325 pages. 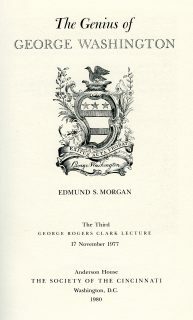 The inaugural George Rogers Clark Lecture of the Society of the Cincinnati, presented on April 22, 1975. 42 pages. 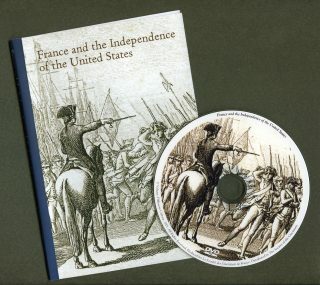 This captivating story of France’s role in the American Revolution is an educational aid for use in a variety of classroom settings. Narration in English or French. 27 minutes. 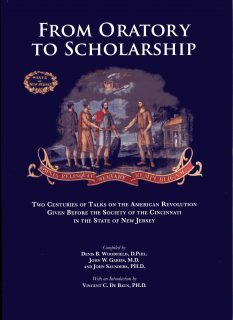 Two centuries of talks on the American Revolution—each given before the Society of the Cincinnati in the State of New Jersey—are compiled into one book, offering a unique understanding of the influences of that vast event. 446 pages. 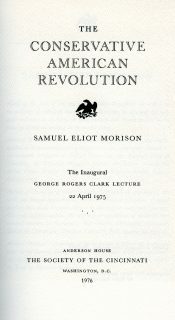 A landmark study that ranked third in a “Top Ten Best Books on George Washington” poll by the Mount Vernon Ladies’ Association. 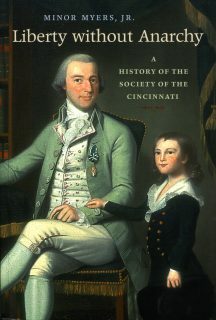 This George Rogers Clark Lecture of the Society of the Cincinnati was presented at Anderson House in 1977. 91 pages. Full-color catalog from the 2009-2010 exhibition co-organized by the Society and the Mount Vernon Ladies’ Association. The catalog includes in-depth features on more than forty objects in the exhibition, a further reading list, and an annotated list of the Continental Army generals. 190 pages. 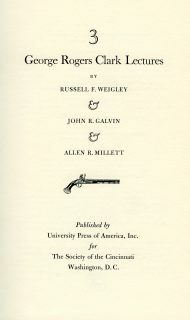 The most comprehensive publication on the history of the Society’s Eagle insignia, including a full-color survey of eighty different variations in the Eagle produced since 1784. 120 pages. 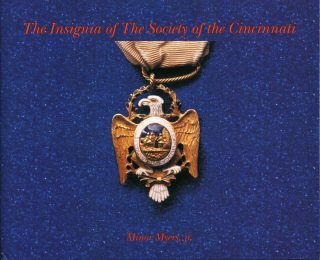 This hardcover edition of the history of the Society updates the original work written by member historian Minor Myers, Jr., and first published for the Society’s bicentennial in 1983. 280 pages. 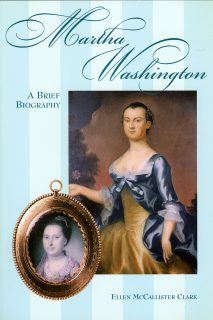 Written by the library director of the Society (and former librarian of Mount Vernon), this brief biography traces the life of Martha Dandridge Custis Washington, “the ideal woman of the new republic.” 61 pages. 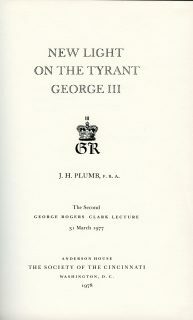 The second George Rogers Clark Lecture of the Society of the Cincinnati, presented on March 31, 1977. 29 pages. 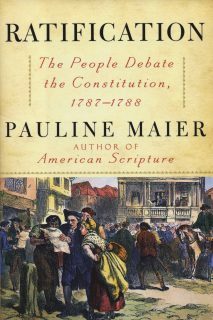 A brilliant, comprehensive account of the adoption of America’s most successful document. 589 pages. 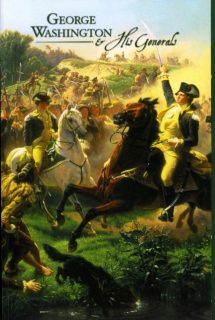 Exploring the military history of the American Revolution, this volume includes three George Rogers Clark Lectures of the Society of the Cincinnati: “Generals Building an Army: American Military Command in the War of Independence” presented by Russell F. Weigley in 1984, “Parker at Lexington: The Role of Perspective and Context” presented by John R. Galvin in 1985, and “Whatever Became of the Militia in the History of the American Revolution?” presented by Allen R. Millett in 1986. 72 pages.